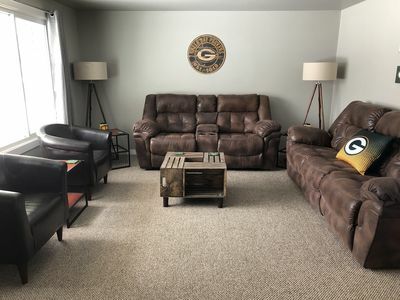 Rent the Lambeau Cottage for The Real PACKER EXPERIENCE! 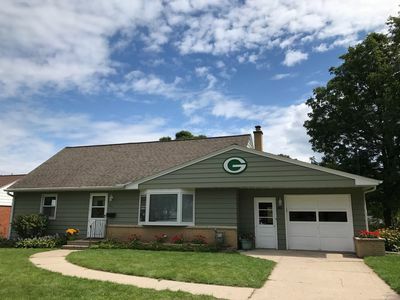 Welcome to the Lambeau Cottage, where ideal location meets easy living! 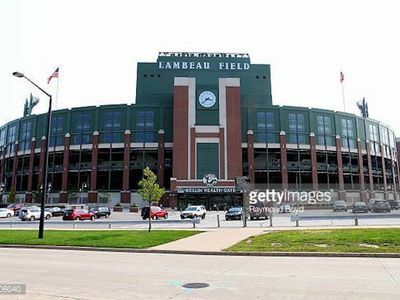 Only .2 miles away from great restaurants, breweries and, of course, Lambeau Field! Once parked at "The Cottage" the car doesn't need to leave anymore during your stay because everything is so accessible. 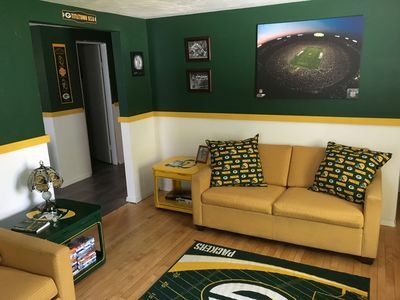 When you stay here, you truly get the Packer Experience. 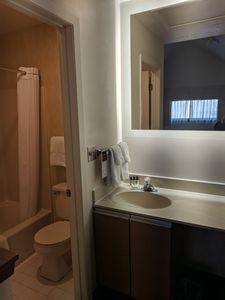 Dates are completely flexible.. whatever works with your travel arrangements. 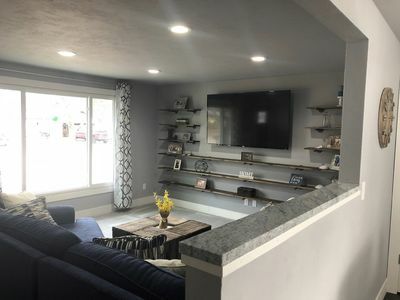 Please consider booking my home, I'd love to host you! 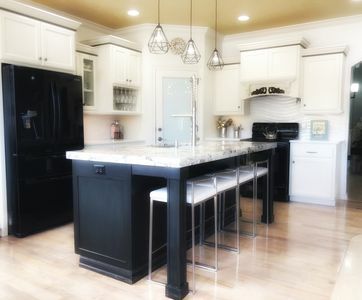 - Clean, hard surface flooring throughout. 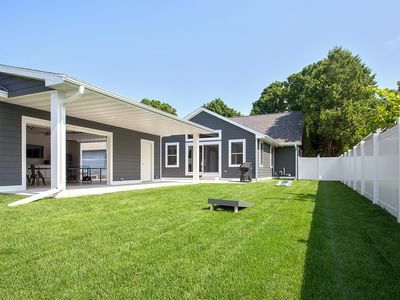 The fenced-in backyard is perfect for playing bags or grilling out on the patio - or even just sipping some morning coffee. 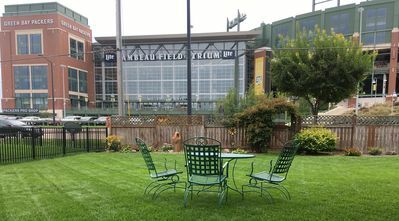 Plus, every activity is always a little bit more fun when Lambeau Field is in the background. 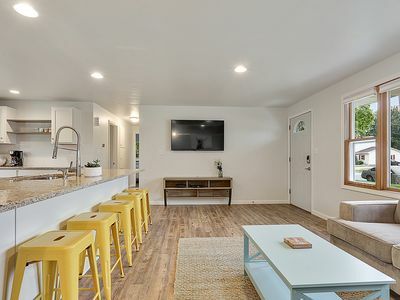 For an additional fee, we could tie in a catered tailgate to your stay. 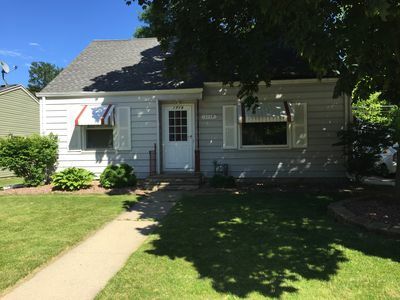 Please inquire for more info. 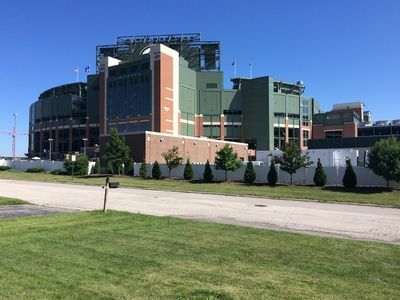 5 Minute Walk To Lambeau! 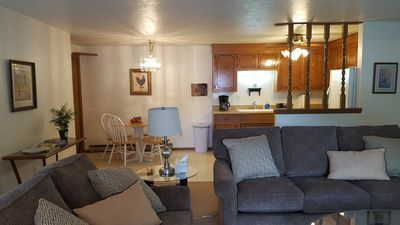 Huge Condo! 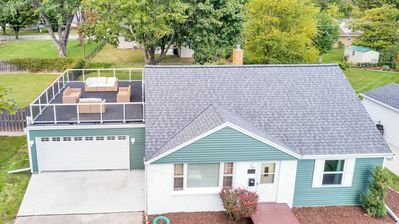 Private Garage! 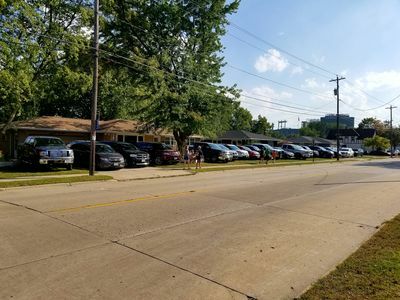 2 blocks to Lambeau & Titletown District.. 6 Parking spots. Tailgating. 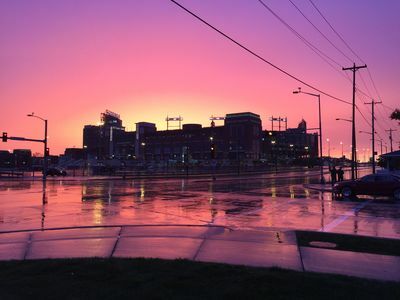 A Spectacular View of Lambeau Field! 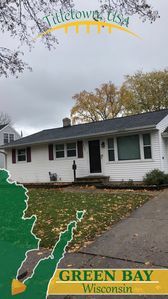 Football fun house 1 mile from Lambeau!! 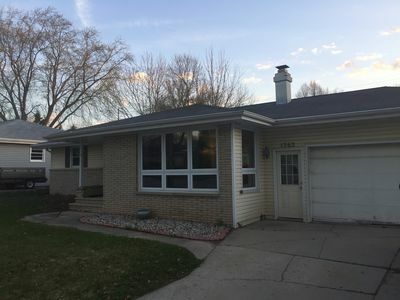 Cozy Home Walking Distance from Lambeau and Near Highway! 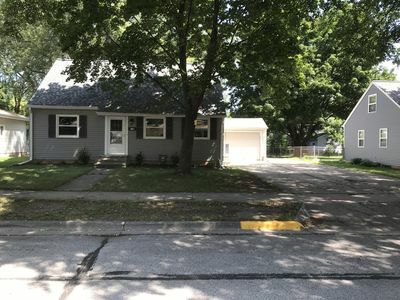 Steps from LAMBEAU, NEW CONSTRUCTION, Big Groups: 8 Beds! 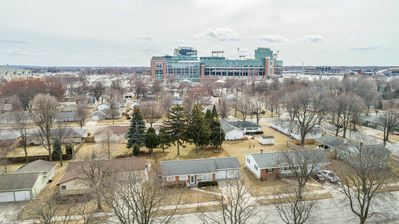 Stadium View only 1500 feet from Lambeau Field! 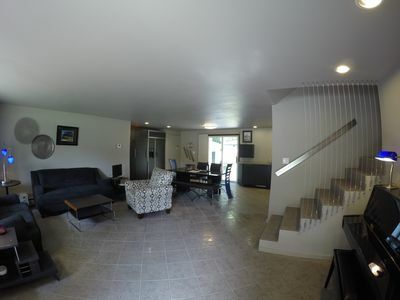 The Stadium View - Walking Distance to Everything!